Today, I'm going to show you the best things that every webmaster, blog master and web sites owner wants to learn and prefers to apply on their sites. All these things is SEO (Search Engine Optimizer). 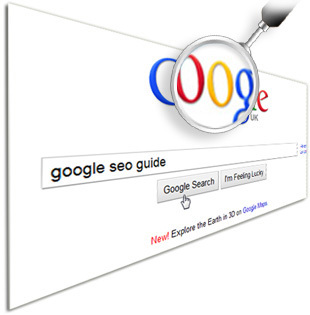 SEO is an acronym for "search engine optimization" or "search engine optimizer." Deciding to hire an SEO is a big decision that can potentially improve your site and save time, but you can also risk damage to your site and reputation. The best and top technique to get traffic on your website is through SEO. Here I will gives you certain videos related to the basic tips on SEO and Webmaster Tool for all websites or blogger. I hope it will increase the traffic on your website and get preferred effects. All these videos are made by the Google.com to help the blogger admin. Indexing your home page wont get you traffic to your site. You have to keep posting and updating your blog on daily basis. You have to keep posting quality content to get best rank on search engine. Make the use of Webmaster tool to keep updating to Google about your site. Search term is that what the user are typing on the Google search box. These should be checked to know what user are searching and when your blog is coming to its results. You should have to check what error Google is getting while crawling your site. This you can done by going to the Webmaster tool account and see the Crawling errors. There are many social network like Facebook, twitter and Google+ also. These can be very much helpful in generating traffic to your site. By these you can keep contact to your audience and get engage to them. Site is very helpful to Google to index your site contents. There are many ways to generate site maps of the site. later on I will post that also. There are many people who can spam your blog by posting comments that are not related to the content. You have to keep checking the spam should be filtered out. Two years ago Google have made change on its Algorithm name as Panda update and Penguin Update. These effects the low quality blog that usually use to copy the content from another site. In this video Google Search Quality team member Maile Ohye is personally guiding you on SEO and giving the Advice to improve.